Has show steady growth over the period, focusing on compliance first and then followed by expansion. Is an office that has been in operation for many years and about 10 years ago was the top performer in service delivery. It was also recognized as the area office with the best resources and the best infrastructure. With many logistical challenges behind it this office is currently in the process of working on completing their compliance to ensure that they will qualify for capital grant request to assist with vehicle procurement to increase meal deliveries. The teams at grassroots are doing tremendous work under difficult circumstances. Currently this area only has three vehicles, placing a great strain on service delivery. We are happy to report that this office has been showing steady growth over the past three year and has been expanding into areas such as Langa, Guguletho and Khyalitsha. Is the leader in service delivery and although we see some elements of fluctuation the area has managed to remove/realign all projects that don’t fall within the ambit of our core business. They have realigned their services to be more comprehensive and thus showing steady growth. 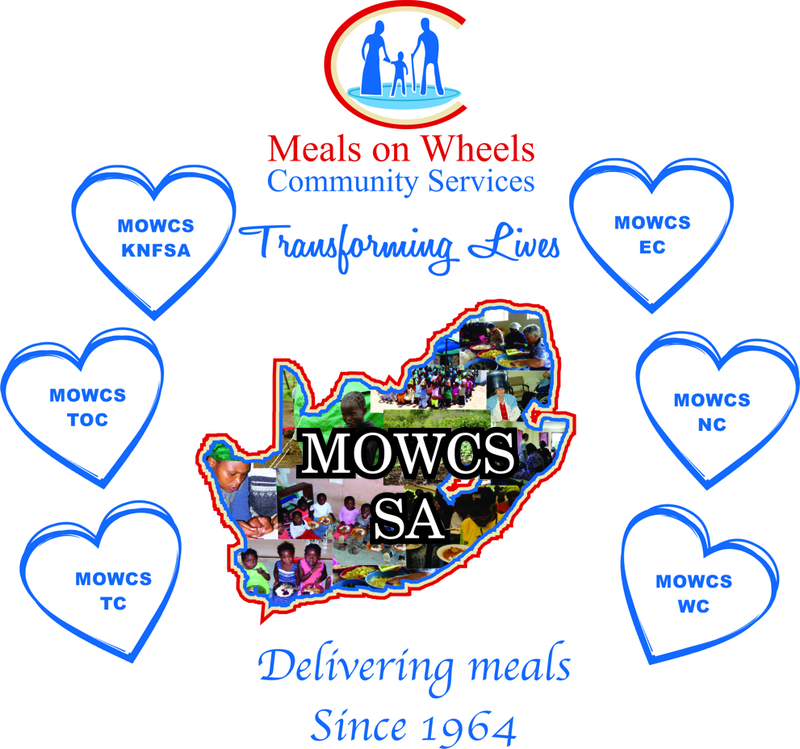 Meals on Wheels Community Services - Northern Cape, situated in Kimberley, is one of the youngest office of our area offices, serving on average 140 000 meals each month, with 25 service points operating on a month to month basis. The majority of our centres are situated in rural areas and concentrate on delivering meals to the community. A few of our centres like Diakim have other activities like seniors Wednesday club day and Merciful hands knitting day. Our main challenge in our area is property, most of our centres are being managed and run out of the coordinators households. The area office has been concentrating on projects for fundraising eg, the Meals on Wheels Community Services Northern Cape Cycling Club, Show and Shine event, Cook Off Festivals and Concerts. It is truly rewarding to help someone who cannot repay you and we encourage community involvement with programs around the country.